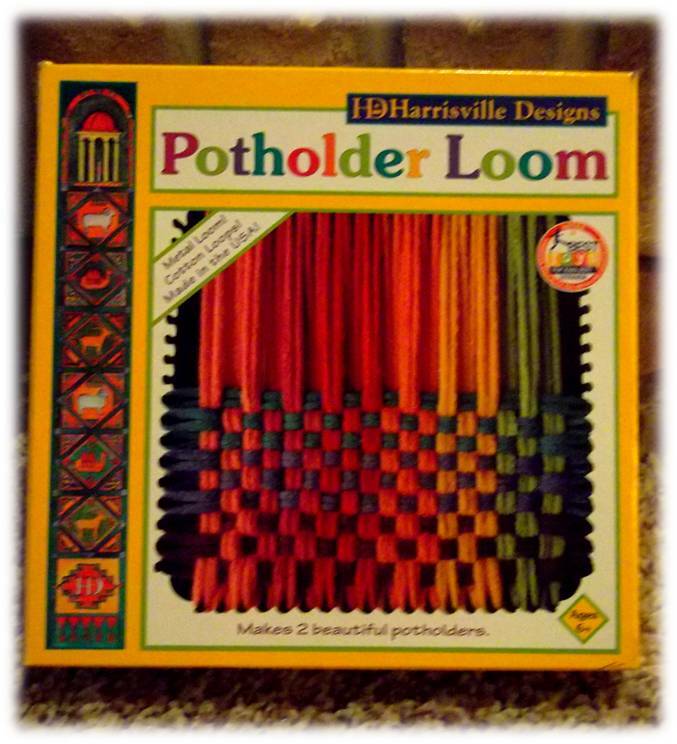 Last summer on vacation, I picked up a Harrisville Designs Potholder Loom. I had a plastic loom when I was a kid, but this one is made out of metal and is a lot sturdier. The loom also comes with cotton loops. I love the fact that the potholders are 100% cotton, but the cotton loops are a little trickier to work with than the stretchy, nylon kind. This summer, I found more of the cotton loops in Madison at Capitol Kids, and inspiration struck! 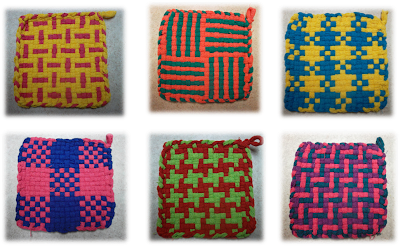 I've had a lot of fun experimenting with different patterns. 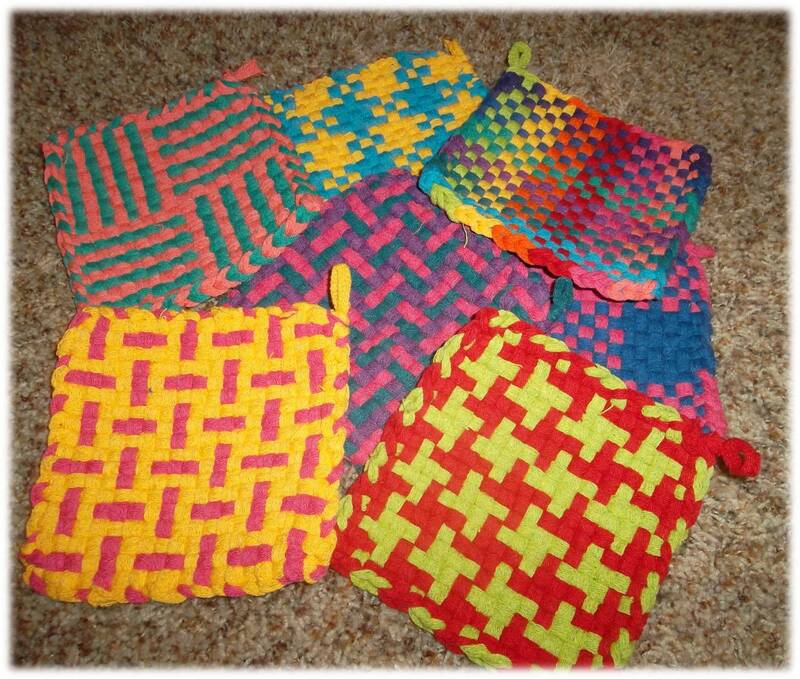 I thought it would be easier to find patterns online but mostly I found pictures of completed potholders and did my best to recreate them. That green and red one is awesome. And mind-boggling. You have my address. What a coincidence! 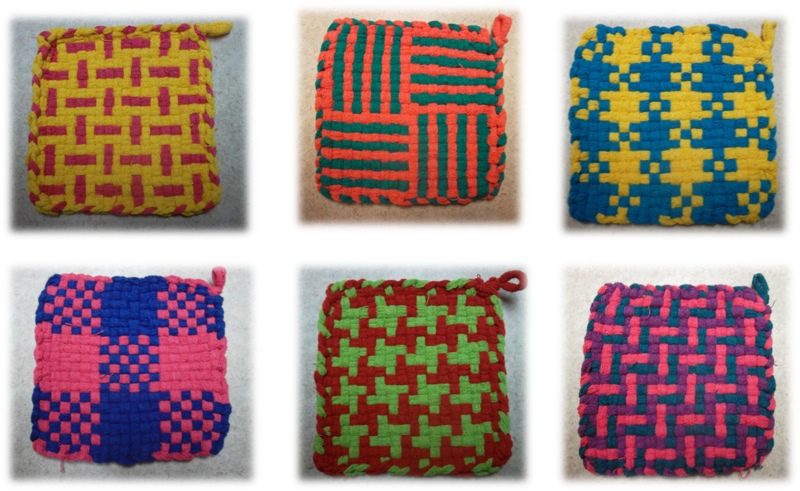 The Mikutowski household needs new pot holders! Colors? All are lovely although if I get to pick the assortment I am purchasing, I would like to exclude pink from my palette. How much are they Laura? I need four new potholders.